You will find a number of brokerages offering both fixed and variable spread accounts, leading to confusion among newer traders who are unsure what kind of account would suit them better. There is no definite answer to which kind of account is superior and whether a trader ultimately opts for fixed or variable will depend on both their trading style and general preferences. Trading costs known in advance. Spreads don’t widen during news releases and periods of high volatility. In general spreads will tend to be wider during periods of standard or low volatility. Dealing Desk Execution, this can lead to delayed execution and numerous re-quotes. As the name suggests fixed spreads means that the spread on a particular instrument will be set in stone. If a brokerage offers a fixed 3 pip spread on the EUR/USD, the spread will never increase, which means that spreads will not widen even during periods of high volatility. This has led to fixed spread accounts becoming popular with those who trade during news releases. However fixed spread accounts have a number of drawbacks, in general traders will pay significantly more in spreads during periods of low volatility. Brokerages offering fixed spreads will operate a dealing desk which may lead to a trader receiving a significant number of re-quotes during periods of high volatility. In addition many traders prefer not to operate with brokerages that operate a dealing desk due to the fact that such a setup can create a potential conflict of interest. Market execution with ECN/STP accounts. Trading costs not known in advance. Spreads widen during news releases and periods of high volatility. Variable spreads as the name suggests vary. Both Dealing Desk and No Dealing Desk brokerages may offer variable spreads. Spreads will vary dependant on market conditions, with spreads typically being wider during important news releases and periods of high volatility. However spreads will be significantly tighter when trading with brokerages that offer their clients variable spreads, with the majority of traders likely to save money. Those who want to trade with a brokerage operating with a no dealing desk model will have no option to accept variable spreads. Many favour brokerages which operate without a dealing desk as they feel that the interest of the brokerage and the client are better aligned. However there are a couple downsides to variable spreads for instance traders will be unable to know trading costs in advance which can be a bit troublesome when developing trading strategies. Those designing trading systems should attempt to take account of these variable spreads during the development of said systems. In general variable spread accounts will offer the majority of trader’s better value for money. Those who will be primarily trading news releases may want to look into fixed spread accounts which will allow them to trade news releases with tighter spreads. 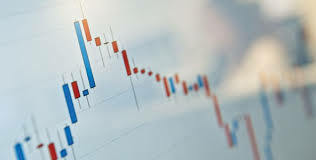 Whether one should open a variable or fixed spread account will be dependent on the individual’s preferences and the trading style they intend to adopt.